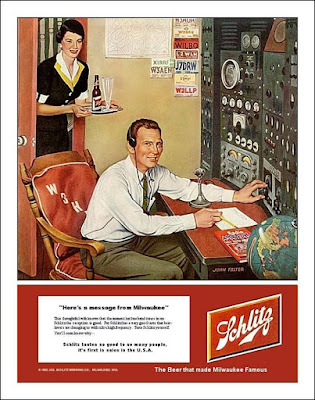 After I issued a luddite complaint lamenting the arrival in ham radio of appliance-like "remote heads", Ed KC8BSV pointed out that at least one guy -- Joe VE1BWV -- is HOMEBREWING his own remote head. (You must admit, this sounds really weird.) I still haven't completely got my head around this, but Joe's video (above) is really impressive. We're living in the future my friends! Remote your heads! With 3D printers! I'm sure some would find this device appealing -- to each his own. But I don't like it. 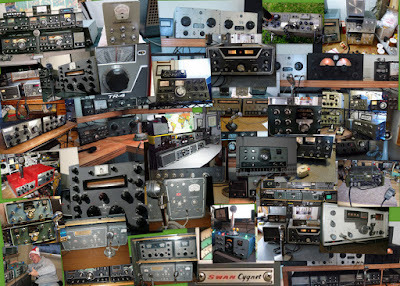 It seems to mark another step down the path toward the complete appliance-ization of ham radio. Note how the control head is looking more an more like something for your car audio system, or your cell phone. 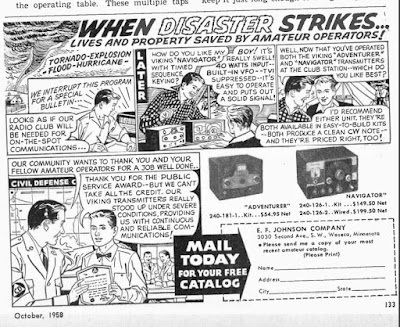 This video made me think of the Jaguar DSB transceiver made in Cuba from the parts of Soviet-made television sets. Somehow I wish we were more technologically disobedient. Strongly recommended for those trying to understand mixers and harmonics. One difference might be that human beings can deal with ambiguity, and computers really can't. If you've done any Python [coding], you make the tiniest mistake, and everything stops immediately. That’s what makes it different even from other forms of engineering. When you are trying to fix a car, if you fail to tighten a bolt on one wheel as tight as it should be, the entire car doesn't stop working. But with code, an entire app, an entire website can go down from the misplacement of a single bracket. I think that's the one thing that sometimes scares writers away, because they are more accustomed to working with ambiguity. I am definitely more accustomed to working with ambiguity. All of my rigs are filled with ambiguity. Thought I would drop you a brief note. 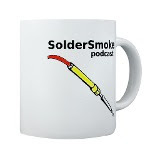 I have been catching up on my listening to past issues of Soldersmoke podcasts and was particularly interested in the discussion between you and Pete concerning the simplicity associated with non-digital, integrated circuits and microprocessors and all of the rest of the very small miniaturized circuit elements. You rightly pointed out that you desired (along with a lot of the rest of us) to fully understand what was going on in a circuit and for that reason desired to maintain the simplicity of transistor and discrete components in your design and build projects. I agree with you completely but offer the alternative to the simple circuits in the form of the attached simple diagram of the signal flow path in a digital radio. 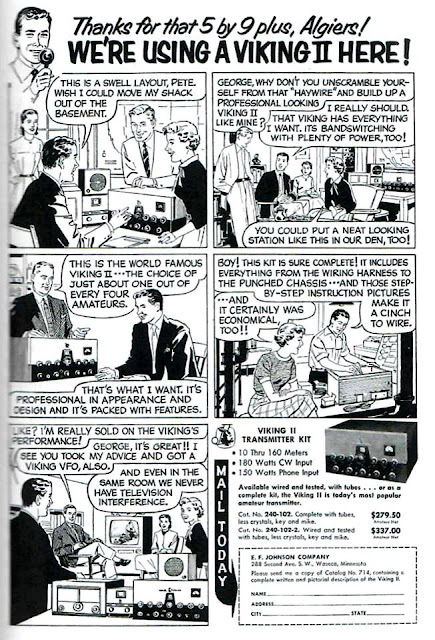 I found this some time ago in a digital electronics magazine and thought you and Pete would find it interesting. Perhaps this might be something to spring on Pete on 4-1-2018. Take care and thanks to both of you for many pleasant and thoughtful hours of enjoyment listening to Soldersmoke! 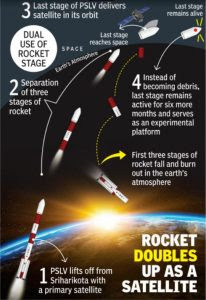 Farhan sent me the schematic of the AISAT amateur digital satellite that went into orbit on April 1, 2019 from India. He notes that the circuitry is very simple. Indeed, it reminds me of the very simple but effective circuitry we saw in satellites in the early days of the space age. Beautiful simplicity, with an Arduino on-board. And it is great to see that Farhan did not forget the low pass filter. FB OM. Farhan's AISAT flew over this morning. Using HD-SDR software, an RTL-SDR Dongle, and my Dominican Republic refrig tubing quad I was able to capture some the packets. Above you can see one of them, floating like a flying saucer in the waterfall. 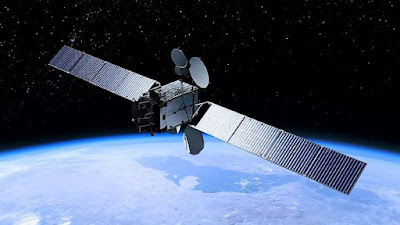 Pretty amazing that that signal came from a machine put in space by our friend Farhan. This is not an April 1 trick. Farhan and Exseed Sat have put another bird in orbit. I will be listening tonight! 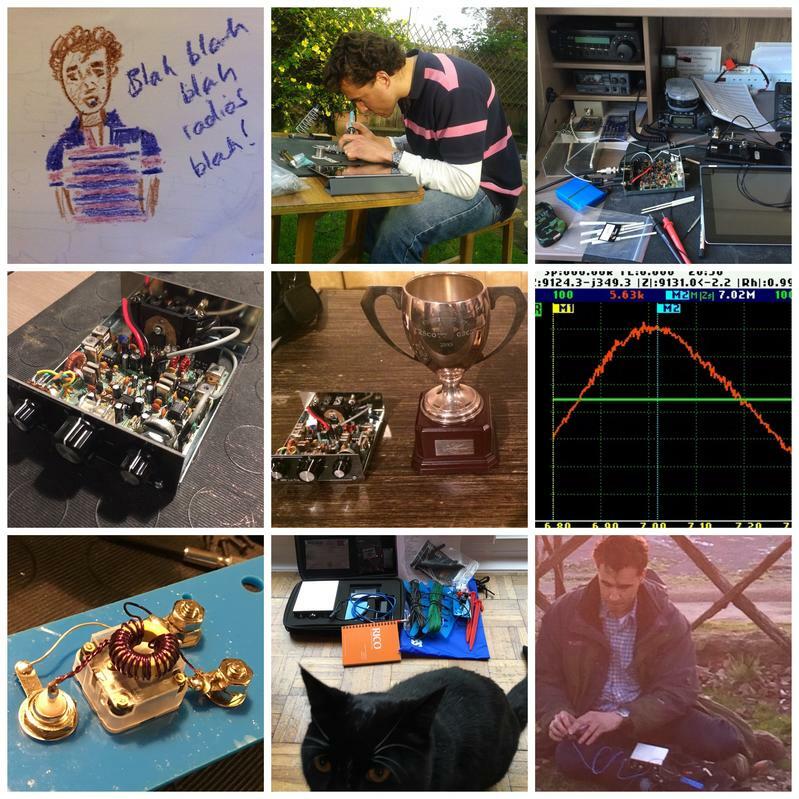 Those of you who have been reading Pete N6QW's blog (and all of you should be reading it!) will have seen a recent post about his efforts to modernize (digitize) the VFO in an old tube-type Ten Tec Triton IV model 544. Pete complained that --oddly -- in spite of replacing the old analog tube-type VFO, the rig with a modern, rock-stable Si5351 VFO, the old rig CONTINUED TO DRIFT. That had Pete and a number of us scratching our heads. How could that be? Pete then completely removed the Si5351 VFO from the old boatanchor. Sitting on his bench, all by itself, THE DAMN THING EXHIBITED ALL THE CHARACTERISTICS OF ANALOG VFO THERMAL DRIFT. Wow! Why? Pete was really pulling his hair out on this one. We immediately began to see if others were getting the same results. Nope. None of our Si5351 VFOs were doing this. This was REALLY strange. At this point we had to turn to a real Arduino expert, a guy who I had met during my time in Italy: Luigi Bugiardo from the Arduino research center in Bocalupo, Calabria. Pete gave him remote access to his computer and he began to poke around. It didn't take long. Luigi quickly found the problem: He found several lines of malicious code "embedded in the Si5351.h and si5351.cpp files –sort of lurking out there and not easy to spot." Pete then removed this code and -- BINGO -- no more drift. Now I know some of you guys are thinking that this was just a bit of harmless fun. But Pete is really angry about this. He feels like he has been played for a sucker by some ham who was pretending to collaborate with him. Pete sees this as yet another violation of the unwritten ham code of conduct. 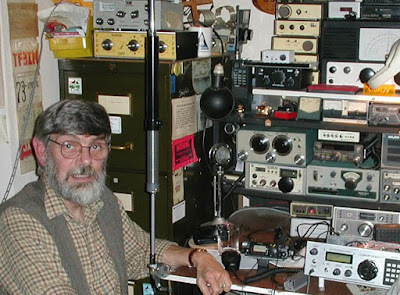 To him this is another intrusion of computer/hacker noob hazing into the ham radio world. And worst yet, he thinks this malicious code came to him because of this involvement in the podcast and his blog -- that participation resulted in the widespread exposure that got him into this mess. Pete is so upset that he has vowed to drop out of the podcast and shut down his blog. There is so much tribal knowledge, so many good ideas. Be sure to visit Pete's blog regularly. He needs the meter from an SBE-33. Somebody out there must have one. Check out his stepper motor antenna tuner video. And be sure to leave some comments or to send Pete an e-mail with feedback. I live in fear that he will think no one is reading and then stop posting. We can't let that happen! 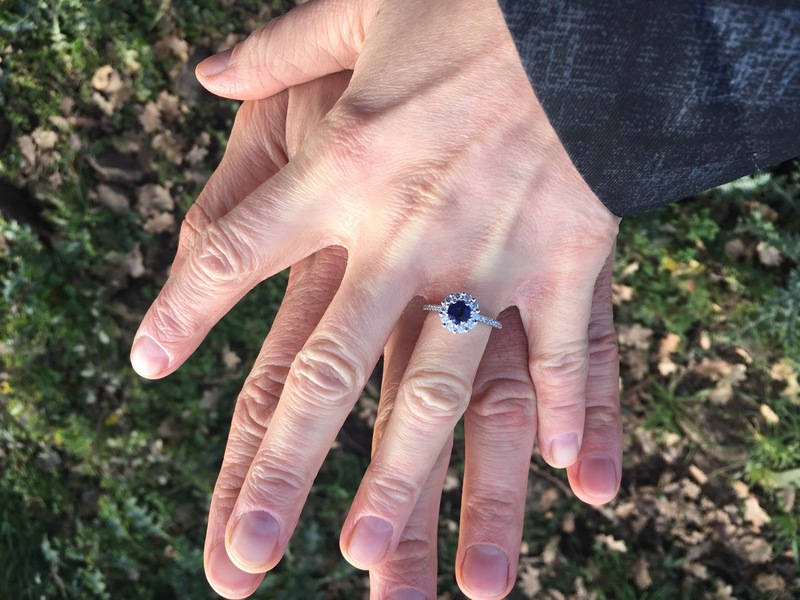 My wife is a kind and tolerant person. Proof of this is that she went with me to see the Apollo 11 documentary that we recently posted about. I think you have to be a geek and/or have The Knack to really like a 90 minute documentary with no audio other than Walter Cronkite's reporting and the recorded dialogue among the participants. But of course, I loved it. 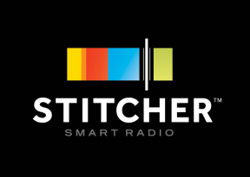 Amazing video, especially of the Saturn V.
Amazing New Geostationary Amateur Satellite -- LISTEN ONLINE! And this is really fun: LISTEN TO THE DOWNLINK LIVE VIA WEBSDR! Yesterday we received the very sad news that George Dobbs, G3RJV has died. I think it is no exaggeration to say that with George's passing, we have lost our spiritual and philosophical leader. The founder of the G-QRP Club and Editor of our beloved SPRAT journal, George took his strong technical skills and his talent for writing and combined it with the wisdom about life that came from his religious vocation. He was a prolific writer and speaker, and in all his work you will find a unique combination of the technical and the philosophical. Not only did he teach us how to build our own rigs, but he taught us why we should build them. We talk a lot about tribal knowledge -- George was definitely the source of much of that. But he went beyond that and also became a major source of what we can call tribal wisdom. He was one of our tribal elders. Instead of speaking to the tribe around a roaring fire, George spoke to us through SPRAT, through articles in other ham magazines, through his books, and through his talks at rallies and hamventions, many of which have been preserved in YouTube videos. George's friend Tony Fishpool sent us the one embedded below. We are of course very sad to see George go, but we can all take comfort in the fact that he will -- through his writings and through his recorded talks -- remain with us. For years to come people who feel a strange urge to build their own radio equipment will find themselves reading George's work or listening to recordings of his melodious voice. They will find there not only the needed technical information, but also the encouragement and tribal wisdom needed to carry on. There will be a bit of George Dobbs in all their rigs. In that way G3RJV will stay on the air. And I know that George would be delighted by that. I attribute the success to the Times Sequence Keying. 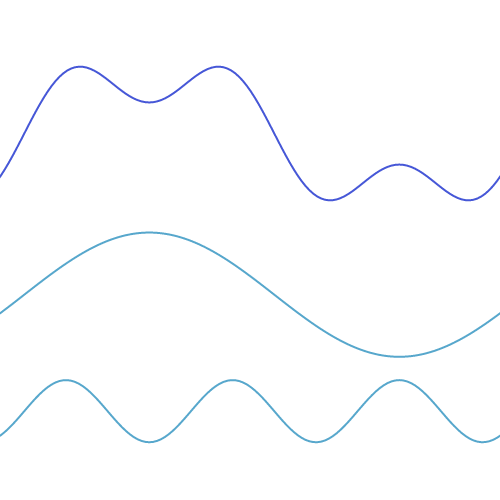 And, of course, to the analog VFO. Thanks again to Jeff Murray. BATTLE CRY: The Vintage SSB Preamble! "We are NOT ashamed!" 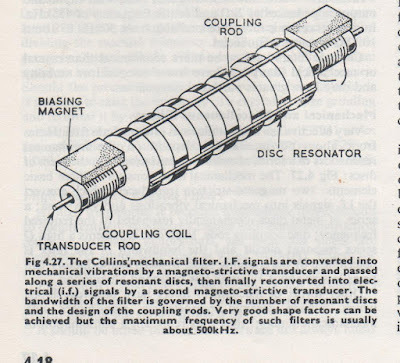 Why did Collins go with mechanical vice crystal filters? The foam deterioration syndrome in mechanical filters. Sad. Please send any unwanted Mechanical Filters to Bill. BONUS QUESTION: Look at the filter below. What is different/special about this one? 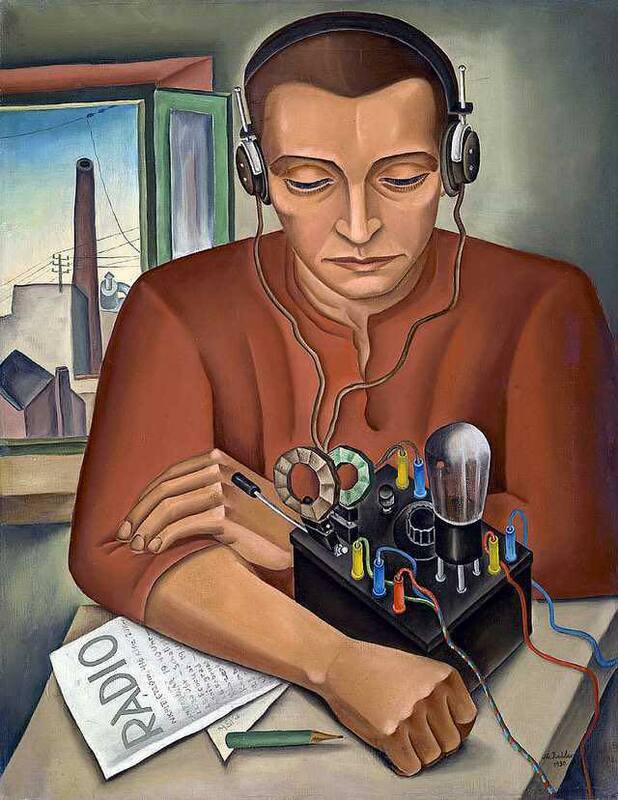 "The Secret Life of Machines -- Radio"
M0KOV's mom took him to the doctor due to THE KNACK. What is different/special about this one? Here is a very cool mod to Hans Summers' amazing QCX CW phasing transceiver. This rig seemed to have been crying out for an SSB mod. Guido has come up with a very clever way to put this rig on phone. Another necktie in the hamshack. Can anyone identify any of the gear? This group looks like a lot of fun. I like how they record the entire session and put it on the web. You should listen to their "preamble." It describes the purpose of the net and the group's belief system. Very well done. These are our people! I will request a full transcript of this important and inspirational document. "Smoke and flame may occur at any time!" DON'T BE A VIOLATOR! NO MODERN RIGS! 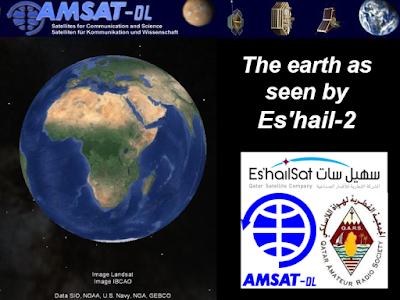 On January 23, 2019 on 20 meters I talked to Barry K6ZA. He is near San Francisco. I was running my Hallicrafters HT-37 with my Drake 2B. I was really pleased to discover that the guy I was talking to loves these two pieces of gear as much as I do. Barry said he wished I could record his voice coming out of the HT-37. My iPhone came to the rescue. 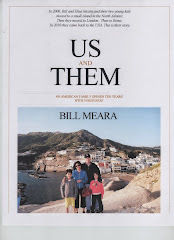 We had this on fhe blog three years ago, but it is so good that it deserves a second posting. Thanks to our old friend Stephen Walters for reminding us of this gem. There is so much soul in these old machines. 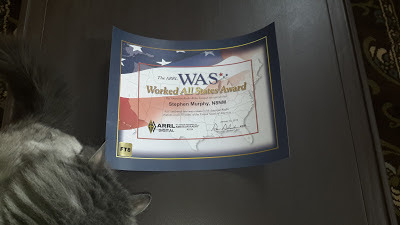 Thanks Stephen. We were in a restaurant last week and this trailer played on a TV that was all the way across the room. The SP-600 caught my eye. I once had one of those, but chickened out when I read about the horrors of black-beauty cap replacement. There is also a D-104 in the trailer (several of those are with me now). 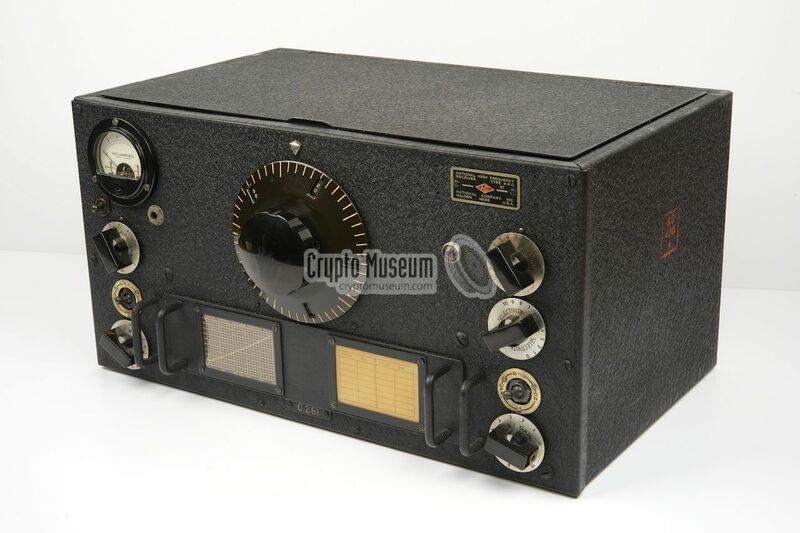 And the girl is transmitting with a Turner SSB+2 Transistorized mic -- I have one of those also. Thomas K4SWL over at The SWLing Post notes that the SP-600 Tuning Dial appears to have been modified. I'm thinking the wanted it to look like some sort of transmitter output meter. I think I can also see some sort of Collins antenna tuner. 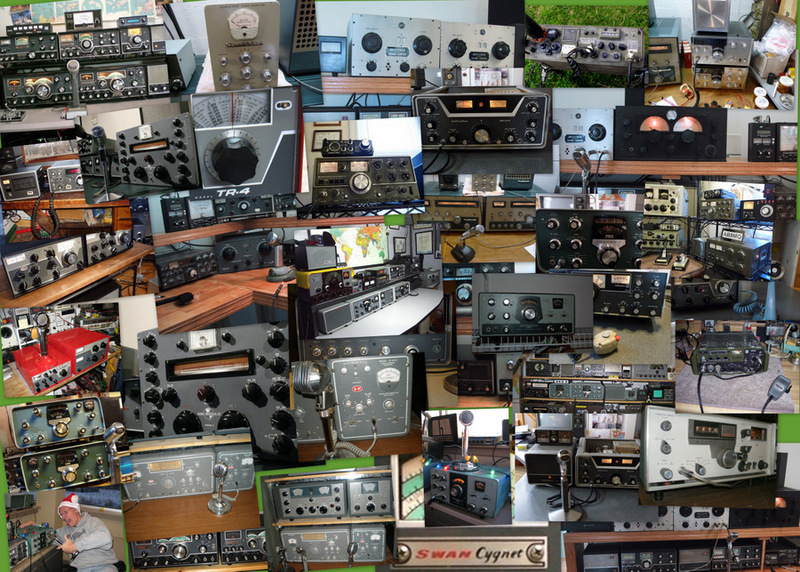 Any ideas on whose shack this all comes from? It looks like a real ham shack. From the trailer, it appears that the ham gear somehow helped us establish contact with Godzilla, who then went on to save the planet. I hope. 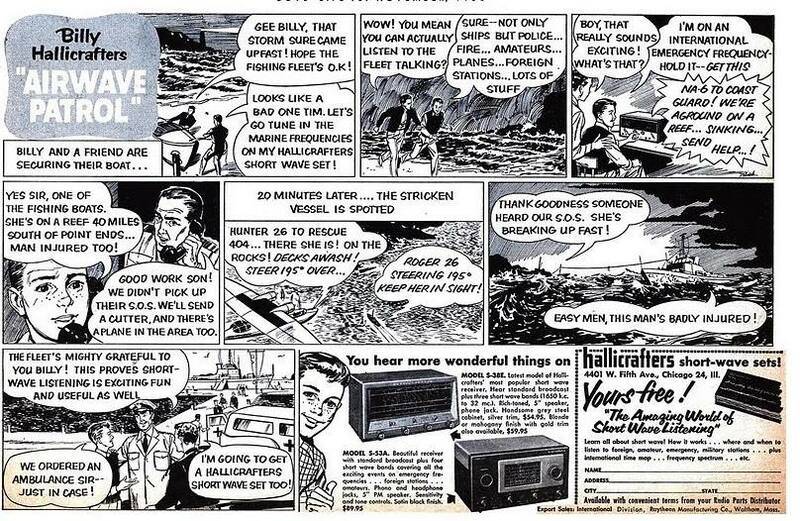 ONCE AGAIN, HAM RADIO SAVES THE DAY! The ham radio stuff is in the first minute or so of the trailer. 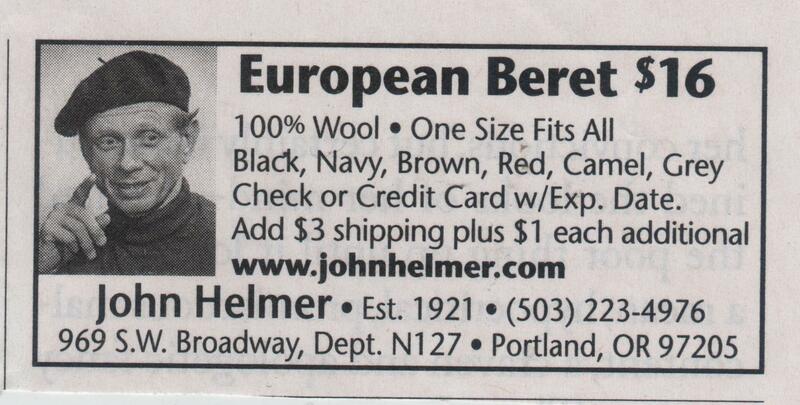 Just click on the ad to enlarge it. Another cartoon relayed via the Facebook page of Jeff Murray K1NSS. 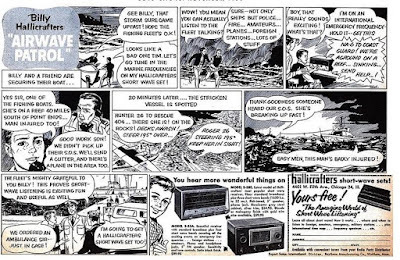 Sure, there was a rescue at sea, but what about all the casualties caused by the AC/DC "widow-maker" S-38 power supply? Jeff Murray K1NSS had this on his Facebook page. Great stuff. But I felt like yelling out, "Stay in the basement OM! Stick with your haywire rig!" Take a look at that beautiful rig in the bottom of the cover pictures. (A closer shot appears below.) That is an HRO dial, right? Or is it? No, it is not. 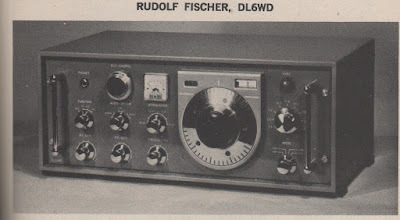 In the picture we see the homebrew receiver designed and built during the 1960s by Rudolf Fishcer, DL6WD. It is magnificent in every respect. Because I have been working with the HRO dial and gearbox given to me by Armand WA1UQO, the tuning dial on this receiver caught my attention. By the way, by the time DL6WD got finished with this all solid state receiver it weighed in at 52 pounds. Rudolf noted that "excessive shielding pays in electrical performance, but not in weight!" DL6WD earns the title "Homebrew Hero." I was disappointed by the CM filter. It seemed very lossey, and it just didn't seem to be of sufficiently high Q -- it seemed very broad. I could hear the other side of zero beat. 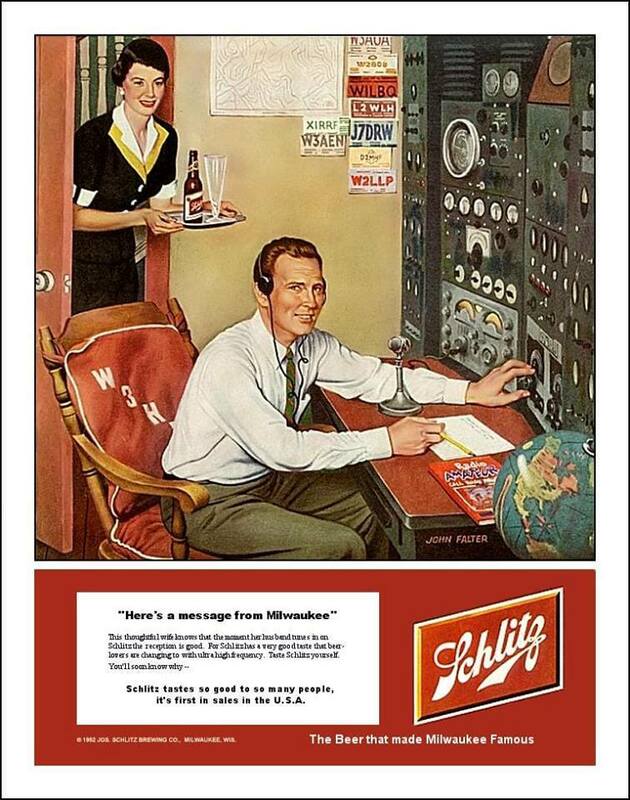 It was barely a "single signal" receiver, and being "single signal" is the whole point of a superhet. Pete's filter is from the Kokusai Electric Company. Part# MF 455 ZL. (Date stamped May 1967). "ZL"indicates lower sideband. I checked and indeed the passband goes from just above 452 kc up to about 454.5 kc. 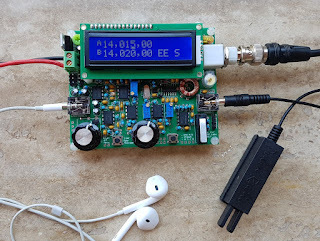 This is a 40 meter receiver and SSB on 40 is LSB, so this filter would work perfectly right? Not so fast! Sideband inversion had to be considered. I was running my VFO from about 7455 to 7755 kHz. This means that the modulated incoming signal would be SUBTRACTED FROM the VFO signal to get to the 455 kHZ IF. And when that knd of subtraction happens, we have sideband inversion. The LSB signal will look like a USB signal when it reaches the filter. 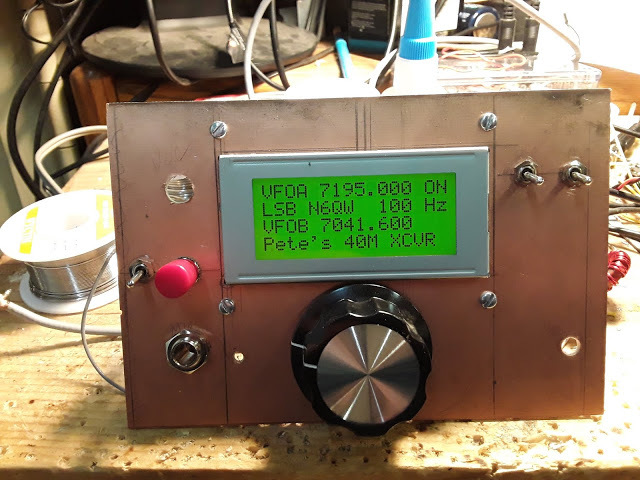 My BFO was running right at 455 kHz, using a ceramic resonator at that frequency. I briefly considered just shifting it down to 452 kHz, but this proved to be difficult. Then I got a better idea. I could just shift the VFO down to 6545 to 6845 kHz. 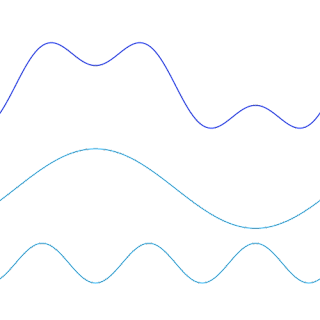 This would mean that the VFO frequency would be subtracted from the incoming modulated frequency. 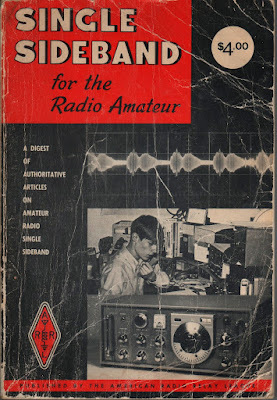 There would be no sideband inversion. I had been thinking about doing this frequency shift anyway, thinking that VFO stability gets better as you go lower in frequency. Moving the VFO was easy. I am using a variable capacitor with several variable caps on the same rotor. I just moved from the smallest variable cap to the middle variable cap -- this added capacitance to the system and lowered the frequency. I also added three additional turns on the coil. This put me very close to where I needed the frequency to be. I added one additional 9 pf cap and this put the VFO freq right where I wanted it. I was really glad to include Pete's filter in this receiver. The mechanical resonator technology fits very well with the very mechanical old-tech theme of this project (it already had a gearbox -- a mechanical filter seemed to fit right in). 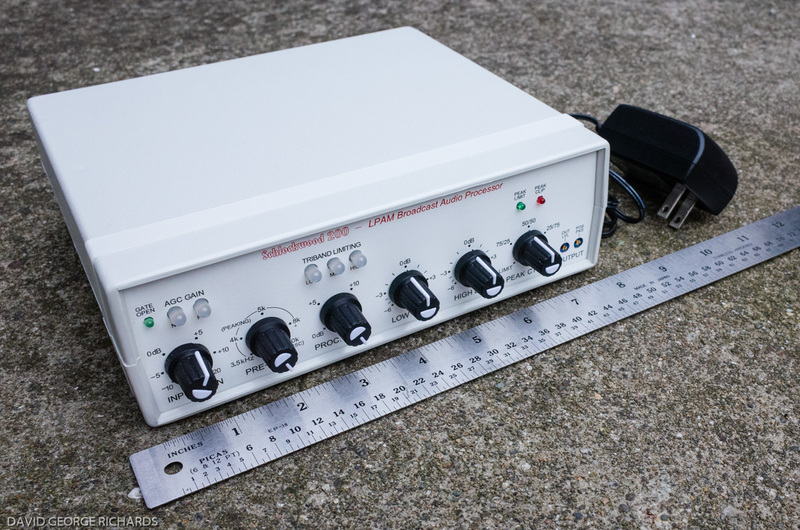 It is a fascinating device -- it is almost like having a set of tuning forks all tuned to 455 kc (see above for the RSGB description of how it works). And having it from from Pete adds a TREMENDOUS amount of mojo, juju, and soul to the new machine.